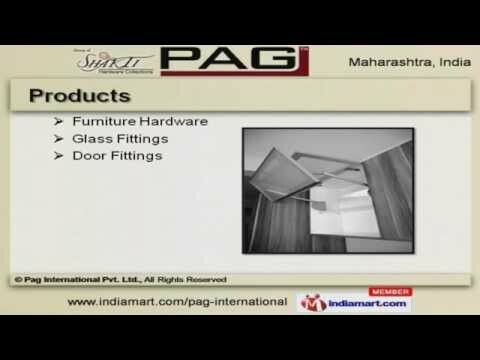 Welcome to Pag, Exporter and Supplier of Hardware, Fitting Components. We are an ISO certified company, established in the year 2002 at Mumbai. We Export to Indian Subcontinent, Africa and others. Excellent logistic support, Competitive price policy and Effective after sales support are the strengths of our organization. We offer a splendid range of Furniture Hardware and Glass Fittings Our Furniture Hardware are in huge demand across the global markets. Stainless Steel Shutters and Accessories offered by us are cost effective. Our Glass Fittings are reckoned all over the world for their superb quality. We also provide Spider and Canopy Fittings that are best in the industry. Along with that we offer Door Fittings that are widely acclaimed in the market.